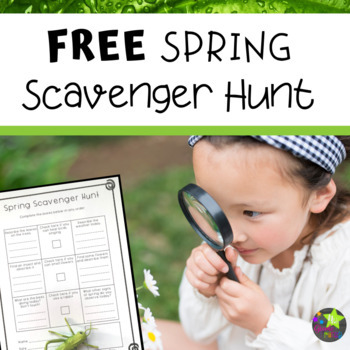 This free spring scavenger hunt printable is just what you need if your kiddos (and you!) have spring fever! Take learning outside with this freebie! *Click the green star above to follow my store and be the first to know about new products and sales! *Did you know that you can earn FREE TpT resources by rating your purchases and earning credits?! Your feedback also helps us continue to provide quality resources for educators.